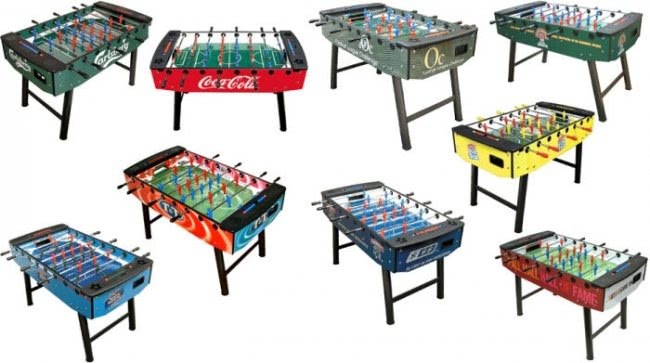 Over-sized 6 foot 8 inch professional Italian foosball table! FAS tables are made to the highest standards in Italy and are recognised as one of the top brands in Europe. The Party is available as a freeplay table for the home, or it can be converted into a coin operated table for commercial institutions. As such, this table is suitable for all indoor areas. The Party allows you to not only play a game with up to 6 people for added competition, it also features a stylish yellow and black finish. In addition the players have been designed to be hard wearing, providing you with years of fun. An excellent quality table that also features a hinged lid - giving you easy access to the cash box. Full size tables such as the Party are perfect for branding with logo's or colours.